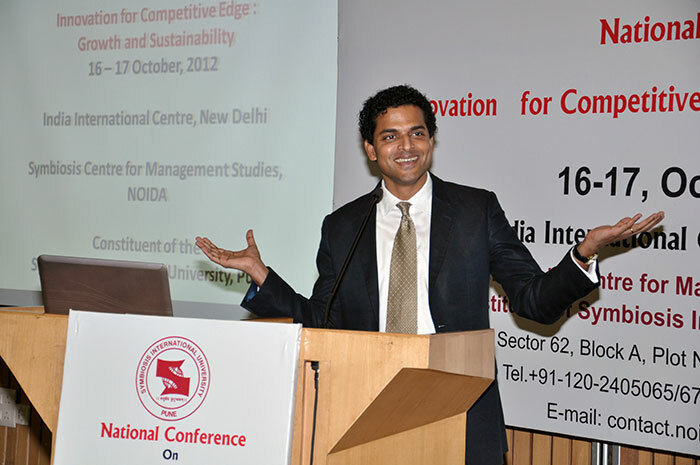 The institute organized it’s first National Conference on “Innovation for competitive edge: Growth & Sustainability” during 16 – 17th October, 2012 at India International Centre, New Delhi. It was presided over by Mr.V. 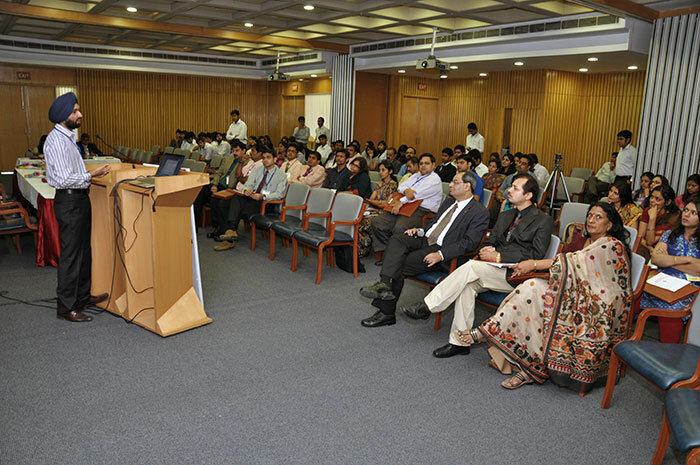 Viswanand, Director & Head - Products and Persistency Management of Max Life Insurance Company Limited, Brig. Rajiv Divekar (Retd. ), Director, SIMS, Pune. The former apprised the gathering about the relevance of innovation in this competitive era. It covered contemporary sub-themes of Green Marketing, Meta-Marketing, improved supply chain relationships, Motivating Knowledge workers, Social and Emotional Intelligence, Micro Finance, Political Environment and Bottom of Pyramid under broader themes of Marketing, Human Resource Management, Finance and General Management. 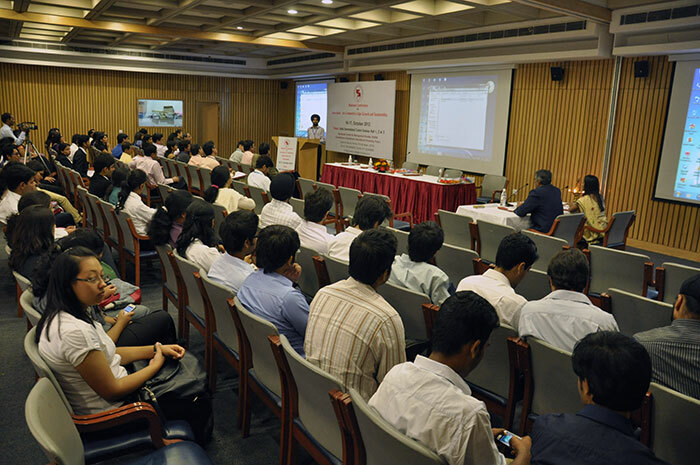 The success of the first conference is self-speaking as 60 delegates from Maharashtra, Haryana, West Bengal, Delhi, U.P., Madhya Pradesh, Tripura, Andhra Pradesh, Orissa, Jammu and Kashmir, Rajasthan, Gujarat and Uttrakhand participated and presented 54 research papers.